ABC’s politically-themed night of programming proved to be a big drawcard for viewers last night, with Australian Story, Four Corners, 7:30 and Media Watch all drawing bumper crowds. Unusually, all of them landed ahead of ABC News -giving ABC a network share of 23%. The first half hour of Seven News beat Nine News in Melbourne, with a decent lead in from The Chase, before Nine wrested it back at 6:30pm. Nationally, Nine’s second half hour was the strongest of any news numbers. Despite being beaten by The X Factor, The Block continues to win the Demos -why is it kids prefer renovation over singing? Seven network won the night with 28.8% then Nine 26.2%, ABC 23.0%, TEN 16.7% and SBS 5.3%. The X Factor (1.13m) topped the night for Seven then Seven News (1.07m /1.06m), Home and Away (831,000), The Chase (638,000 / 429,000) and What Really Happens in Thailand (512,000). Nine News (1.07m / 993,000) was best for Nine then A Current Affair (988,000), The Block (951,000), House Husbands (752,000), Hot Seat (545,000) and Footy Classified (417,000). Australian Story (1.05m) topped ABC’s night then Four Corners (994,000), 7:30 (970,000), Media Watch (908,000), ABC News (894,000) and Q & A (679,000). The Project (698,000 / 484,000) led for TEN. TEN Eyewitness News was 584,000, Have You Been Paying Attention? was 565,000, TBL Families was 514,000, NCIS: New Orleans was 276,000 / 145,000. On SBS it was The Wonder of Dogs (289,000), Cats Uncovered (286,000), Hunters of the South Seas (149,000) and SBS World News (134,000). 7TWO’s A Touch of Frost led multichannels with 276,000. Great to see those figures for the ABC’s Monday line up. Sky’s coverage of the leadership change was the best of the commercial offerings but inferior to that from our national broadcaster. I was particularly impressed with Four Corners, an amazing production effort to assemble such a program in the space of a week. Good to see “Have You Been Paying Attention?” doing well despite a poor lead-in from The Biggest Loser. 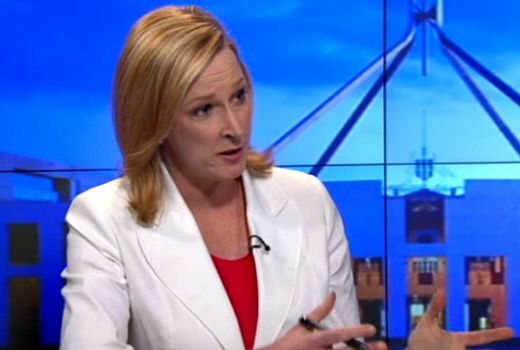 Leigh Sales was extremely soft and flirty to King Malcolm. Perhaps she is after a dinner party invite to the Turnbull Mansion. Nothing like the “fangs out ” approach to Tony & Joe. Why was Leigh Sales called soft and flirty and not David Koch? I thought ABC was criticised for being too tough on Libs? If you treat people with respect then people will return with respect. It must be such a blessed relief for her to have a PM she can actually chat with and get more than ‘death cult’ and ‘stopped the boats’ references out of them! Agree. It’s the first interview with the new PM. I think we can be lenient and forgiving if they were both treating it a bit like a first date. Plus, Turnbull was (mostly) actually answering the Q’s that he was asked rather than continually spouting mantras. I found it quite refreshing that our PM wasn’t assuming that all who were listening were simpletons who could be hypnotised by a three-word slogan. Lisa Wilkinson was very hard on Malcolm, everything David Koch does seems like froth and bubble even when its serious and his own subject. Leigh Sales was probably keeping him onside for the big one down the road (there’s always something big eventually). I think Lisa did best. What happened to TBL Families?